At Pushleads, our vision is to “increase our client’s digital profitability.” To put it more simply, we aim to do a variety of tasks on and off your site to make it more profitable for your company. At Pushleads, we believe that your website should be much more than just a website sitting out there on the internet. We believe that your website should actually be an integral part of your sales team. Your website shouldn’t be just “sitting there” on the internet, it should be aggressively capturing search traffic, bringing in more prospective customers into your business, and generating more sales. One of the main ways we accomplish this is through doing SEO. What is SEO? Glad you asked! When you have a quick 5 minutes, read 8 reasons why your website needs SEO. It’s a simply fabulous article explaining what SEO is and why your business needs it. So, how well are we doing at increasing our client’s digital profitability? 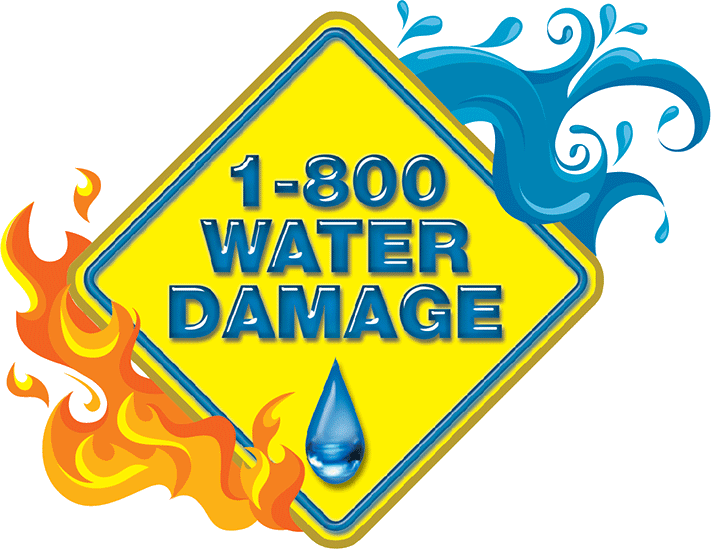 Last year (in 2015), we took on 1-800 Water Damage, a disaster restoration client, and started doing SEO work for them. After a few months, they starting getting many more phone calls and decided to check their internal phone records. When they did this, they realized that after 4 months of us doing SEO that they had experienced 40% more phone calls, year over year! Again, this was them checking their own internal numbers. When they looked closer at these phone call numbers, they realized that all of them were coming from our SEO. They were thrilled because they were experiencing almost double growth in just a Four month period. Fantastic. Want to hear something even more incredible? Eight months into the SEO process, they checked their numbers again and discovered that they were getting 80% more phone calls, year over year. Same situation, all of the new growth was occurring via their website. How in the world had this happened? Our consist ant SEO work had turned their “normal” website into Aggressive Sales Machine! If you know anything about Google Analytics (Google’s free website traffic tracking tool), their website traffic, sessions, users, and pageviews tripled over a six month period. Does Your Business Need This Type of Growth? For just this one example, you can see why SEO is so powerful. SEO is a long term investment that provides the highest ROI, drives offline sales, builds your brand and trust, eliminates your competition, and helps make your website produce more leads. If hearing how we helped this one client gets your excited, we totally encourage you to reach out to us. We’ve love to help. Google defines keyword stuffing as the “practice of loading a webpage with keywords or numbers in an attempt to manipulate a site’s ranking in Google search results.” Quite often, keywords appear over and over again in lists, groups, or patterns. Most of the time, these keywords appear totally out of context and repeated over and over. And, guess what? Google doesn’t like keyword stuffing. This is because the act of doing keyword stuffing is an attempt of manipulate Google’s algorithm. Google especially hates any attempt to manipulate their algorithm in any way. What happens when Google finds out a website is trying to manipulate them? Yep, you guessed it. Whenever Google finds violations like this they will “add a slap” to the website and penalize it in the rankings. In real world examples, this usually means that the offending site will drop out of Google’s First page into the second, third, or hundredth page. Basically, the offending website disappears from Google’s Search altogether and it can take alot of work to make that website “move to the top” again. Sometimes it’s not even possible. So why do we see this so called “keyword stuffing” across the web? Once upon a time back before 2012, keyword stuffing was actually common practice among people that did SEO. The reason that SEO people did this was because it actually worked. The combination of keyword stuffing and publishing articles across the web would actually make a website go to the top of Google. Unfortunately, the web was littered with more examples of things that look like this: Keyword stuffing is, at it’s core, spam. And, Google hates spam. When the engineers at Google saw that the web was being littered with all this spam, they decided to do something about it. Here’s some keyword stuffing humor. people to quickly find what they’re looking for. to suppress spam as much as possible. The more Google can keep doing those Four things, the more Google can stay ahead of the other search engines, make money, and grow. One of my mentors would always repeat this mantra: “Always add value to the web.” When he said this, we meant that whenever we publish anything online, we must make sure that it adds value. We need to make sure that the content we’re publishing answers questions, solves problems, and helps people. Why is Value so important to Google? The reason is that sites that provide a high amount of value help people quickly find what they’re looking for. The more value that people find using Google, the more they’ll tend to keep using Google vs other search engines. When a site answers questions that people are asking for, that’s value. When site’s provide direction to life’s persistent questions, that site is providing value. When a site has a high quality design, that’s value. When a site publishes excellent content, that’s value. Value also gets ranked at the top of Search Engines. Blog Posts that answer your most common questions. Pages that Answer Specific Questions. Videos about your Company’s Service and/or Offerings. Info-graphics about humorous, interesting, and great topics. Transcriptions of videos or audio that you’ve recorded on your phone. Blog Posts that comment on trending relevant topics on the web. As a SEO Professional in the industry, we can assure you that if you publish this type of content at least four times a month, you’ll start showing up in more and more searches. You can’t publish this type of valuable content and NOT be ranking in Google. Now that you know the importance of value, we encourage you to start adding value to your site. Also, the process of creating great content doesn’t have to be hours and hours of writing articles while looking at the screen. Content doesn’t have to be boring; it can be fun! You can actually get a 500 word article by recording a 2 minute video on your phone, getting it transcribed at rev.com, and publishing the content as a blog post (along with the video). Go forth, always add value to the web, live, and prosper. So, how well are we doing at increasing our client’s digital profitability? Last year (in 2015), we took on 1-800 Water Damage, a disaster restoration client, and started doing SEO work for them. After a few months, they starting getting many more phone calls and decided to check their internal phone records. When they did this, they realized that after 4 months of us doing SEO that they had experienced 40% more phone calls, year over year! Again, this was them checking their own internal numbers. When they looked closer at these phone call numbers, they realized that all of them were coming from our SEO. They were thrilled because they were experiencing almost double growth in just a Four month period. Fantastic. Want to hear something even more incredible? Eight months into the SEO process, they checked their numbers again and discovered that they were getting 80% more phone calls, year over year. Same situation, all of the new growth was occurring via their website. How in the world had this happened? Our consist ant SEO work had turned their “normal” website into Aggressive Sales Machine! If you know anything about Google Analytics (Google’s free website traffic tracking tool), their website traffic, sessions, users, and pageviews tripled over a six month period.